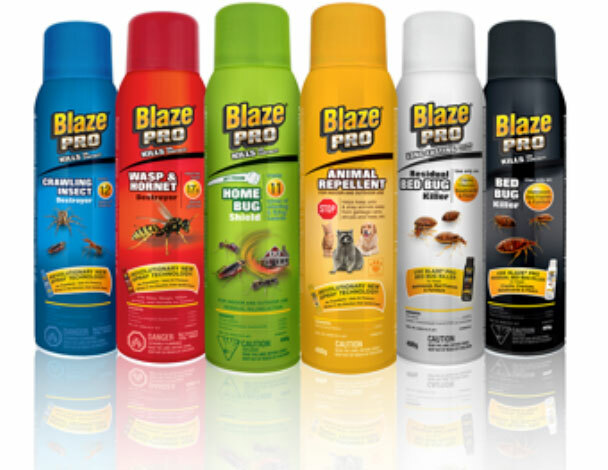 Blaze Pro - Novella Brands Inc.
Blaze PRO insect control products are specially formulated to treat insect problems quickly and effectively. 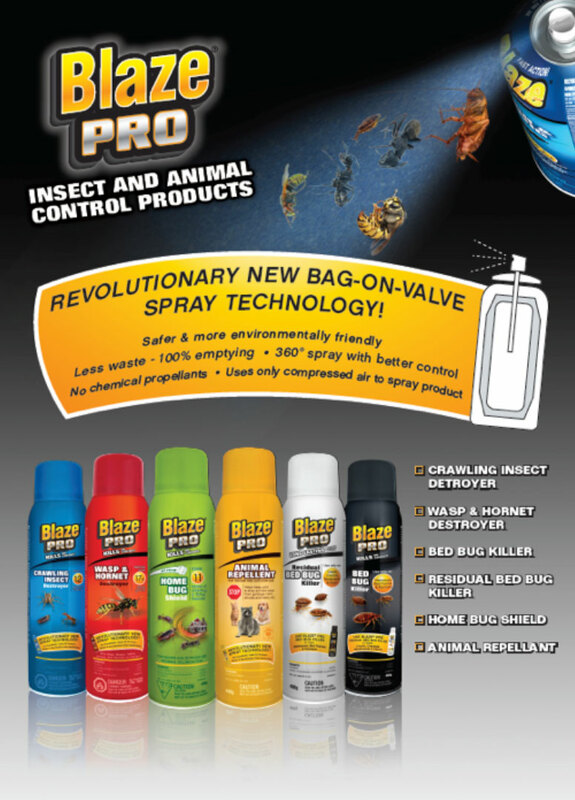 For mild and severe infestations of crawling and flying insects. For more information please visit the Blaze Pro website.